The perfect hotel for a honeymoon, in my opinion, is a combination between beauty and relaxation where the only disruption will be the sound of the waves. And we will never have to worry about a dinner bill. The Pueblo Bonito Pacifica fits that description perfectly. Situated on an isolated beach, the Pacifica offers the perfect mix of spa and beach. Adults only and all inclusive, there couldn’t be a better place to just enjoy the company of your significant other without any worries. 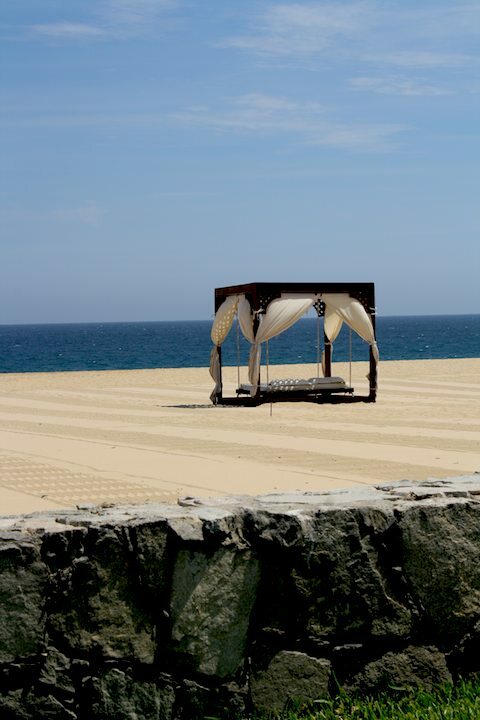 My favorite part is the beds on the beach. And the fact that you can rent one for a private dinner and stay until the sunrise. Talk about romantic! What’s the most romantic hotel you’ve ever visited?